Lots of great food storage space without taking up a lot in your home. At 9.0 cu. ft., this compact sized chest freezer makes perfect sense when stocking and storing frozen foods over long periods of time. Place it anywhere in and around your home. Whether in the kitchen, in the basement, or outside, this Amana chest freezer will always be flexible for you. Keep well organized with 2 wire baskets for the smaller frozen items while you stock everything else nice and neat down below. The Freezer Chests 9.0 Cu. Ft. 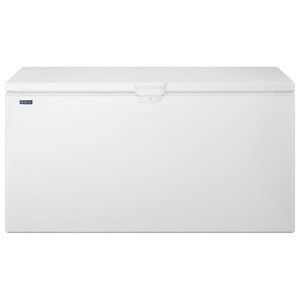 Compact Chest Freezer by Amana at Pedigo Furniture in the Livingston, Onalaska, Trinity, Coldspring, Corrigan, Huntsville, TX area. Product availability may vary. Contact us for the most current availability on this product.